At least four separate wind projects in the Mojave Desert are in the early stages of environmental review, according to the Bureau of Land Management's (BLM) land records database, and would industrialize over 76 square miles of intact desert and ridgeline if they receive final approval. Energy companies are interested in several other swaths of the Mojave, but are only evaluating the strength of wind resources or have not taken significant steps toward environmental review. L.H. 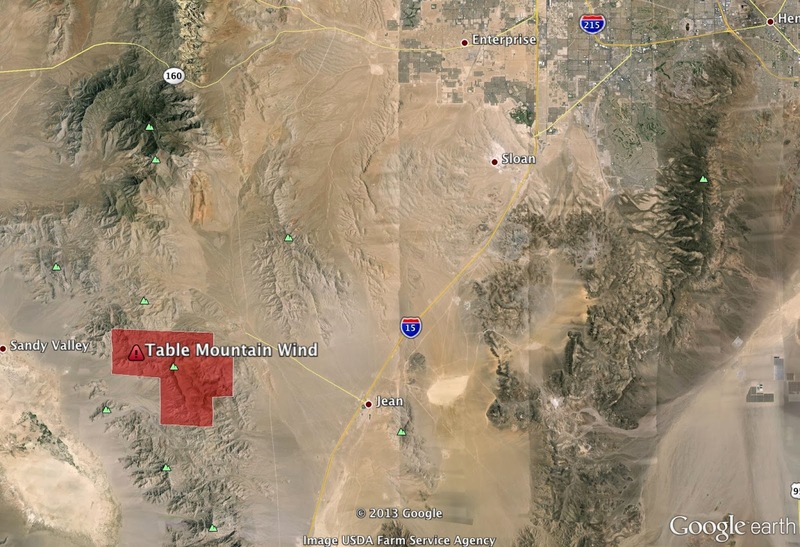 Renewables, LLC, A Redlands-based corporate entity registered to a post office box, has submitted a plan of development for the Laurel Mountain wind project, which would involve installing as many as 130 wind turbines on nearly 40 square miles of intact desert west of Ridgecrest. The company has been testing wind resources in the area for years, and as of early November the BLM initiated environmental review under the National Environmental Policy Act. 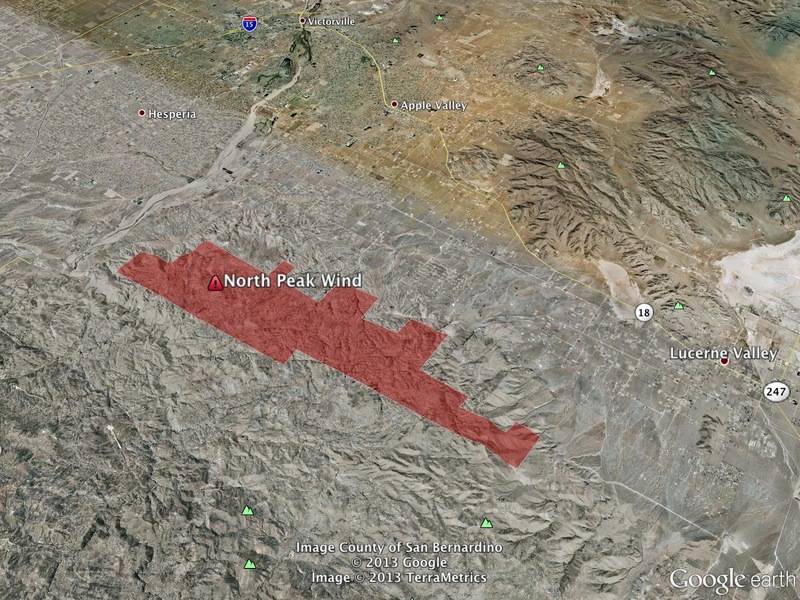 [Click on image to expand] The area in red depicts the approximate outlines of the proposed Laurel Mountain Wind project, located west of Ridgecrest, and north of the Red Rock Canyon State Park. The company proposes installing nearly 130 turbines in the area. The Laurel Mountain wind project would be built in between the El Paso Mountains Wilderness area, and the Kiavah Wilderness; some of the project's proposed right of way overlaps with the Jawbone/Butterbredt Area of Critical Environmental Concern. Much of the project's footprint would impact habitat identified as biologically important by agencies developing the Desert Renewable Energy Conservation Plan, in part because of the presence of Mohave ground squirrel and desert tortoise. E On Climate Renewables remains interested in developing the North Peak Wind project, overlapping with the Juniper Flats recreation area prized by residents of the Victor Valley. I previously wrote about this project in March; since then, the company in December submitted a plan of development and the fees necessary to begin the environmental review process. The company also reduced the size of the proposed project from over 23 square miles to 16 square miles. 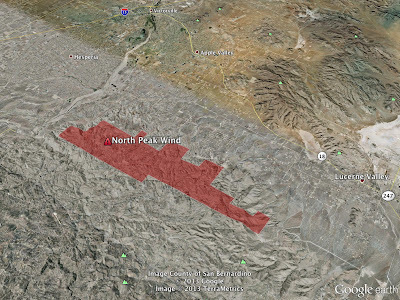 [Click on image to expand] The red area depicts the approximate footprint of the North Peak Wind energy project, and does not include recent modifications reportedly made to the footprint that reduce the project area from 23 to 16 square miles. 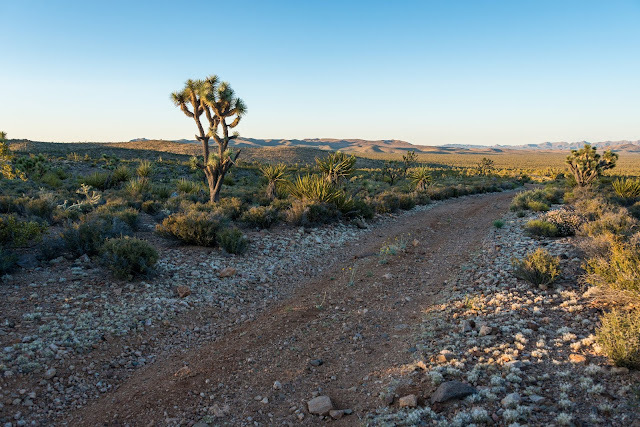 This project would new and wider dirt roads into a higher elevation area of pinyon juniper habitat between the San Bernardino National Forest, and the lower elevation creosote scrub habitat. BLM in early December approved the plan of development for Iberdrola's Silurian Valley wind project, which would industrialize over 10 square miles of intact desert habitat between Baker and Shoshone on the scenic route 127, suggesting the scoping period may begin soon. The company also plans to build a large solar facility south of the wind project, although the company has not submitted any additional information on the project in recent months, according to BLM records. 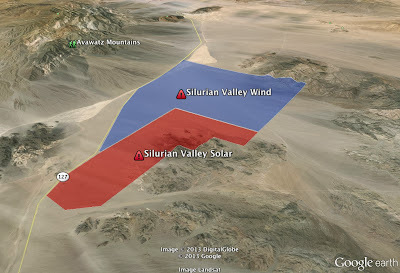 [Click on image to expand] The Google Earth image above shows Phoenix Wind and Aurora Solar LLC plans for a wind and solar facility in the pristine Silurian Valley, north of Baker, and south of Death Valley National Park along the scenic route 127. The Silurian Valley wind project was previously stalled because of Department of Defense concerns that the project's tall turbines and spinning turbine blades would interfere with military testing and training. It is not clear if these impacts have been mitigated. 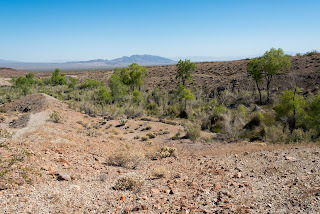 The projects would overlap with areas designated by the BLM as having some of the highest visual resource inventory ratings in the Mojave, and much of the Silurian Valley is identified in the Solar Energy Development program as priority desert tortoise connectivity habitat. The Table Mountain wind project is back, this time proposed by Acciona Energy. The right-of-way, located southwest of Las Vegas, and in the southeastern corner of the Sandy Valley, has changed hands at least twice since 2009 as companies evaluated wind resources in the area. According to BLM records, Acciona filed a plan of development for the nearly 11 square mile project in November proposing up to 50 wind turbines in the area. [Click on image to expand] Note that the red area is just an approximate outline of the proposed right-of-way for the Table Mountain wind project proposed by Acciona Energy. 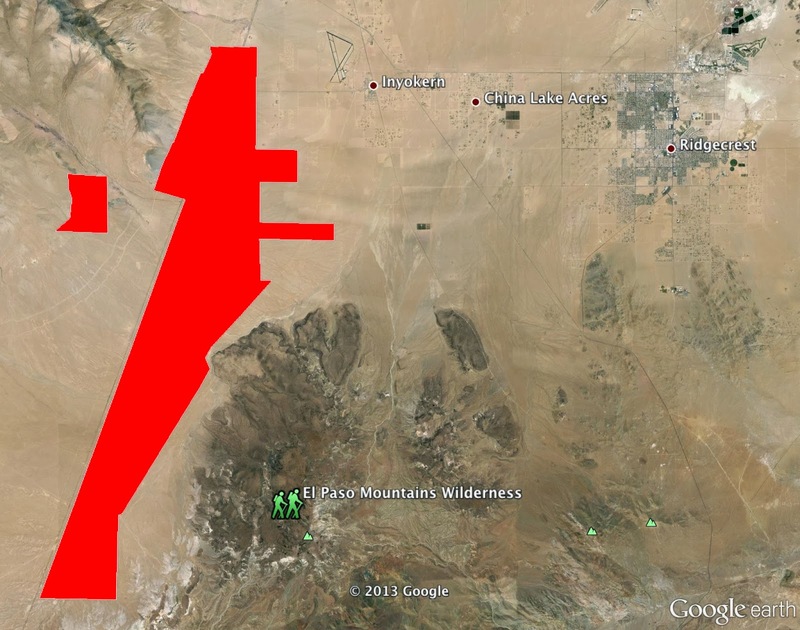 Other wind projects in the Mojave and Sonoran deserts are pending construction or operational. 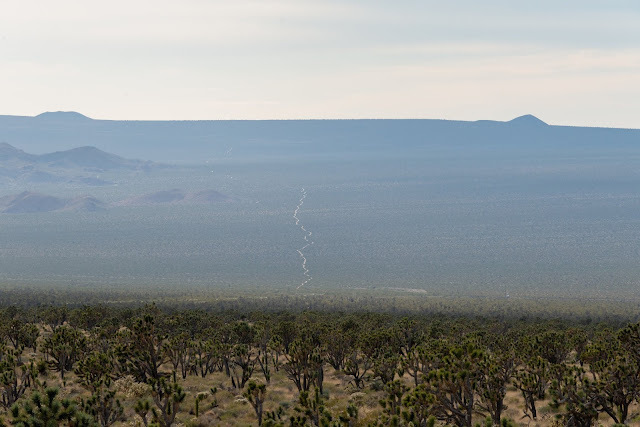 Some of the most ecologically destructive are sited in the western Mojave desert, and have killed several golden eagles, including LADWP's Pine Tree project, and Next Era's North Sky River Wind. These projects join dozens of square miles of wind turbines that are part of the Alta Wind Energy Center. Conservationists are also concerned the wind development spread across the western Mojave Desert and Tehachapi Mountains will impede the recovery of the California condor to its former range. Elsewhere, the Searchlight Wind project in southern Nevada was approved by BLM, although Duke Energy has not yet started construction. The area hosts a healthy population of desert tortoises that will be threatened by the dozens of miles of new dirt roads that will be carved into the intact desert for the project. Further south, the Ocotillo Express wind project has completed construction, although Federal Energy Regulatory Committee reports indicate that it has produced very little of its expected energy, probably due to low wind resources in the area. In Arizona, BP received approval from the BLM for the Mohave County Wind facility on over 54 square miles of mostly intact desert. The Golden eagle is in a serious state of decline but studies that would show this have been deliberately avoided by the wind industry and Interior Department. At best that I believe there are less than 300 nesting pairs of golden eagles left in all of California and Oregon. This expands out to a population of no more than 1000-1200 golden eagles when including all juveniles and sub adults. Just two wind farms, Altamont Pass and the Montezuma Hills are killing at least 75 eagles per year. This is not even close to 5% wind mortality threshold stated in the Eagle Conservation Plan. With the current FWS Eagle Take Policy, the FWS's objective is to manage the species by authorizing take (kill) at a level that is less that 5 percent of the local area population. Despite the low estimated eagle mortality derived from filtered wind industry studies, the mortality rate from these two wind farms in CA is not even close to 5%, it is in the range of 25%-50% per year for the regional eagle population. In fact with proper studies and analysis I believe that that the golden eagle mortality from both the Montezuma Hills and Altamont Pass Wind Resource areas would exceed 5% percent of the total golden eagle population for all of California and Oregon combined. This amount of mortality far exceeds any reasonable or ethical meaning for the term "regional population, yet this slaughter continues. To compensate for this killing the FWS has stated there are 526 golden eagles living within 150 miles of these two projects. This figure is far from being true. In fact I believe that the FWS would have a very hard time proving with actual occupied/productive nest site data, that there are even 100 nesting pairs of golden eagles now left in all of California. In other words, this proof would exclude all the bogus nest site data (empty or abandoned) and vague eagle territory data that is currently being used to embellished golden eagle population estimates. The Fish and Wildlife Service of BLM will put on a front and be seeking public input on the issuing an eagle take permits for these projects. But it is all an act. The Interior Department doesn't need any input because they know about the eagle slaughter taking place from turbines. They are not disclosing it, and asking for public input when they already have this information is silent fraud. I want to educate readers on some wind turbine related facts related to the killing of golden eagles. These are facts that have been kept from the public. These facts are important because they illustrate the ongoing corruption within the process. With these wind projects it does matter what the impacts, there will be a countless parade of industry and political shills that will attempt to wipe them away. Dead eagles are just part of the destruction. In California the current FWS estimated wind turbine mortality to golden eagles from about 3000 MW of installed wind energy capacity is 109 per year. Pay attention to this.............. About 60 of these golden eagles killed annually are from the wind projects at Pacheco Pass, Montezuma hills and the wind turbines in the Tehachapi region. This does not account for the eagles killed by wind turbines further south in CA. These are golden eagles killed outside of Altamont Pass in California. The totals would be much higher with proper studies and transparency, especially at Altamont Pass where new estimating factors and undersized carcass search areas have been put in place that have lowered the "official" reported golden eagle mortality. The fact is, any of these wind turbines placed in eagle habitat will kill eagles. In the Western States of California, Idaho, Colorado, Montana, Nevada, New Mexico, Oregon, Texas, Utah, Wyoming and Washington, most of the industry’s 32,000 MW of installed wind energy capacity is located in eagle habitat. If one were to believe the low mortality estimate of 109 golden eagles killed per 3000 MW, this still works out to one eagle death per 27.5 MW of installed capacity. Projected out across the Western US at this rate, the estimated kill rate is 1164 golden eagles annually. In contrast everybody should look back to the highly publicized (AP) 2013 Journal of Raptor Research Study reporting or suggesting that 85 eagles were killed by wind turbines over the last 15 years in the United States. The so called study was pure nonsense because the truth is that thousands and thousands of eagles have been killed by wind turbines over the last 15 years in the US. Looking at this and other maps of potential wind projects always disturbs me. It's not just a matter of this or that project going through, it's the full brunt of all the future wind turbines they want to build. There are already 45,000 in America and over 250,000 around the world, and reports of full scale deployment call for 3 or 4 million in a wind-zombie utopia. How anyone with environmental credentials could look forward to even 100,000 more is beyond me. Wind turbines are the most invasive industrial project of the century, indeed all the centuries, when you consider their total spread and stark visual impact. They go up in places that we always thought were safe from industrial development. It's really quite tragic when you take in the full scope of the future.